As we continue our countdown to Opening Day, with the Tribe Opener just eight days away, here’s reason #8 why the Tribe will rock in 2016. 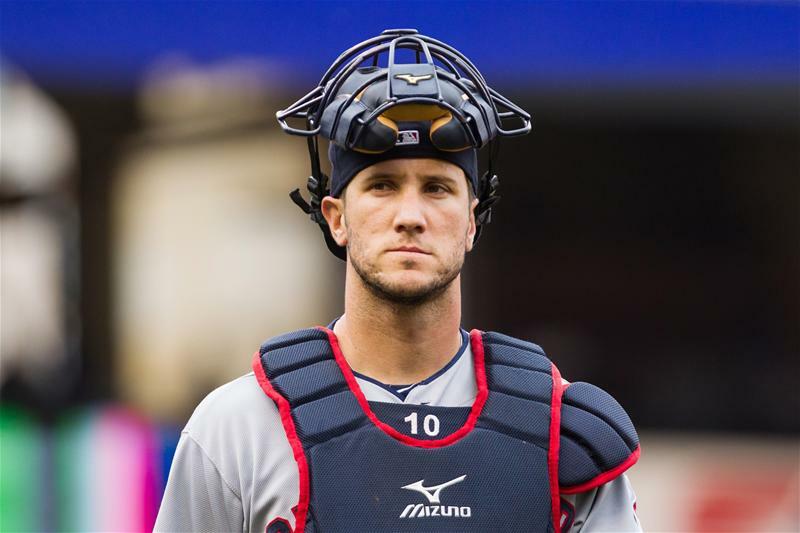 2015 was somewhat of a rough year for Indians Catcher Yan Gomes. Gomes spent much of April and May on the Disabled List with a sprained MCL and was expected to miss 6-8 weeks. He ended up returning sooner than expected, but it was clear he was not 100 percent for much of the season. His numbers reflected that, as the right-handed batter hit .231 with 12 home runs and 45 RBI. He started to swing the bat well in August and finished the season with a solid September, but compared to his previous two seasons in Cleveland 2015 was a down year all-around. In 2013, Gomes hit .294 in 88 games, and when he assumed the role of every day catcher in 2014, Gomes hit .278 with 21 home runs and 74 RBI. Even if Gomes does not produce those numbers from 2014, Tribe fans can always count on his great defense behind home plate. In the past three seasons, Gomes threw out 41 percent, 32 percent, and 33 percent of baserunners attempting to steal. He also has to be given some of the credit for how the Tribe’s starting rotation and bullpen have been so effective and consistent for the last three seasons. Even the starters themselves will attest to how great of a chemistry they have with Gomes. If Gomes can put together a full healthy season and just hit close to what he did in 2014, he can be one of the better all-around catchers in baseball. And if fans want another reason to be excited about Gomes, he belted his fourth home run of Spring Training on Saturday, March 26th. It also doesn’t hurt to have a more than serviceable backup behind him in the depth chart; Roberto Perez. Although no one is penciling in Perez as a future All-Star, he did make an impact for the Tribe in 2015, playing solid defense, and hitting .228 with 7 homers, 21 RBI, and 9 doubles. When it comes to Catchers in MLB, it’s all about defense first, and the offense is just an added bonus. Perez carried the load admirably, playing in 69 games, much of which was due to Gomes’ injury, and threw out 41 percent of baserunners attempting to steal on him. Gomes was sorely missed, but it’s nice to know there’s a dependable backup behind him. Gomes is one of the leaders of the team and the catcher is somewhat of a quarterback on the field. For as much praise as the starting rotation gets for the Tribe, sometimes people overlook the significance of what a great catcher adds to a pitching staff. Come back tomorrow for reason #7 why the Indians will rock in 2016.